Are you looking for a small camcorder that packs a lot of punch? 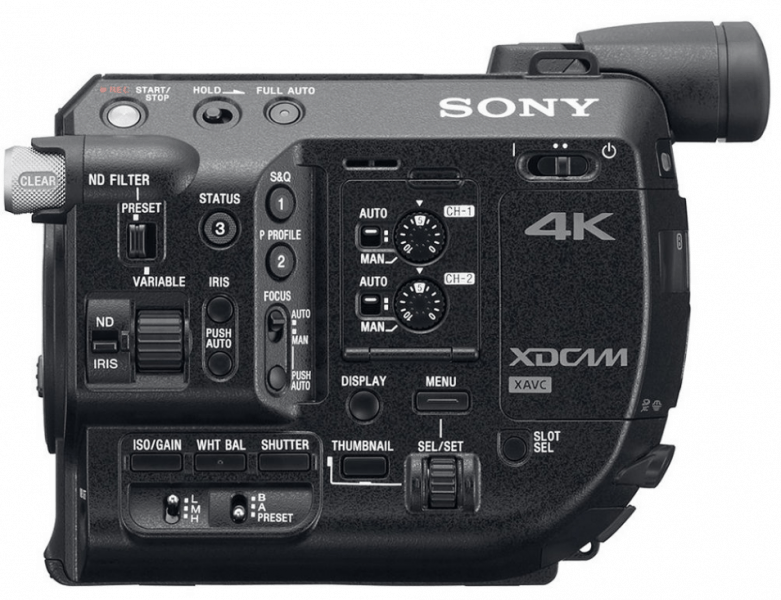 If you are, the Sony PXW-FS5 4K Camcorder is one of the best options for you. 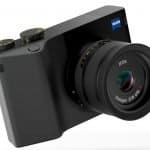 Its small, compact frame belies its modern, powerful features that are useful for videographers who shoot documentaries and other projects and/or cover weddings and other special events. Sony has designed this model to be ergonomic and adaptable so, no matter what your needs and preferences are, you’ll find that the PXW-FS5 can be your ideal companion. If quality is a non-negotiable factor, you can use the Sony PXW-FS5 4K Camcorder’s ability to record 4K videos at 100 Mbps using the advanced XAVC recording system. If you don’t really need 4K, you can switch to Full HD recording at 50 Mbps. The camcorder is built with a Super35 Exmor sensor, which has 8.3 million effective pixels and a total of 11.6 million pixels. This allows the camcorder to record excellent 4K videos and even more impressive HD videos that are simply not possible in devices with just HD sensors. The sensor also comes with 14 stops of exposure latitude, which paves the way to excellent detail both in highlights and shadows — even when you choose grayscale rendering. The PXW-FS5K comes with a zoom lens that has a maximum aperture of f/4 maximum aperture and offers 27 to 158mm of focal length range, which covers telephoto perspective to wide-angle shots. It’s built with the SteadyShot image stabilization technology, which reduces camera shake and creates sharp, blur-free images. Aside from the included lens, the camcorder comes with the α mount lens system, which makes it compatible with lenses both from Sony and from third-party lenses. So, if you’ve purchased lenses in the past months, you have the assurance that they can be used along with your PXW-FS5. The camcorder has electronic variable ND filters instead of traditional optical filters, which makes it ideal when you need to shoot fast-moving objects since you no longer have to change filters. It also has two SD media card slots and supports both relay and simultaneous recording, ensuring that you have proxy files and enjoy uninterrupted recording. It even offers Wi-Fi support, so you can live-stream your videos to computers, tablets, and smartphones and even wirelessly control the camcorder through one of these devices. Just like any other device, the Sony PXW-FS5 4K Camcorder has its own pros and cons. 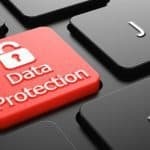 It’s important to learn about them before you go out and purchase the camcorder to be sure that it’s the right option for you. One of the first things you’ll notice about the PXW-FS5 is its small and lightweight build. It’s only 0.8kg (or 1.8 lbs), which means you can comfortably carry it around even when you have to shoot for the whole day. It’s also compact enough to bring in narrow alleys and other tight and hard-to-each areas. 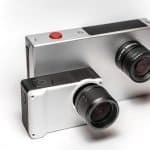 The camcorder’s chassis is made of magnesium and its input and output connectors have covers against dust, allowing it to withstand daily wear and tear. The PXW-FS5 comes with SmartGrip, which has controls for zoom, assign, and start/stop and allows you to operate the camcorder with one hand and use the other to adjust the lens. The controls are located right at your fingertips, so you can easily choose the parameters you want even while the camcorder is running. The screen also displays menu options, so you can change the settings without having to lift your eyes away from the screen. Customization is key to the PXW-FS5’s design. You can easily remove the grip and LCD viewfinder without having to use any special tools, and you can even mount the viewfinder in nine different locations. The camcorder also has standard screw holes on which you can attach a drone, a gimbal, or even an underwater camera with ease. 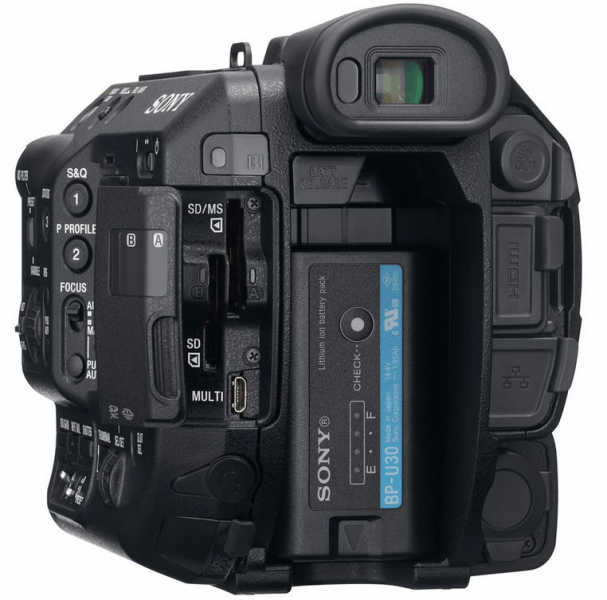 Reviewers have noted that the Sony PXW-FS5 4K Camcorder have buttons that are bit small, both on the camera body and on the SmartGrip. This can be a problem if you’re holding the camera at a tricky angle or if you have large hands. We say “relatively” because, although the camera’s 4K recording is good on its own, there are other camcorders whose 4K performance is better. This isn’t a deal-breaker, though, if you just want a camera that records in 4K or if you’re planning to shoot videos mostly in HD. 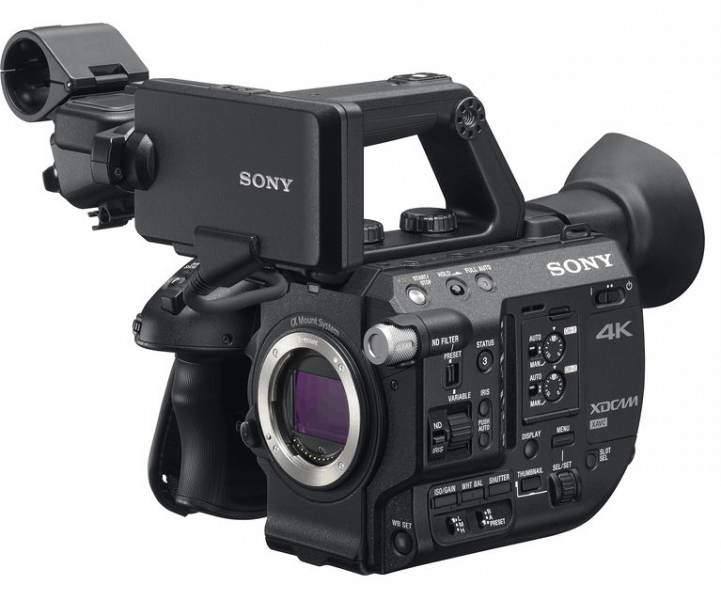 The Sony PXW-FS5 4K Camcorder comes with several drawbacks but, if you can get past them, you’ll find that it can fulfill your videography needs and give you great value for money.